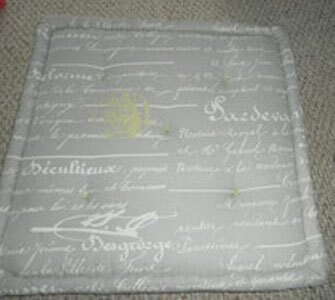 GreenBarn Covers & Curtains also offers custom designed home furnishings. Simply let us know your specifications and we will craft the item to fit your home. 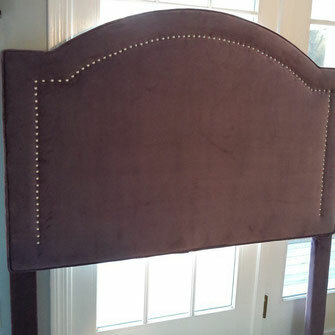 Bespoke headboard designed and crafted by GreenBarn. Purple velvet fabric with polished nickel brad accents. Floor pillow. Great for kids room, tv/gaming or by the pool.